First Visit to Center Parcs, Whinfell Forest As A FamilyMoon. Finding Our Love Of The Great Outdoors. 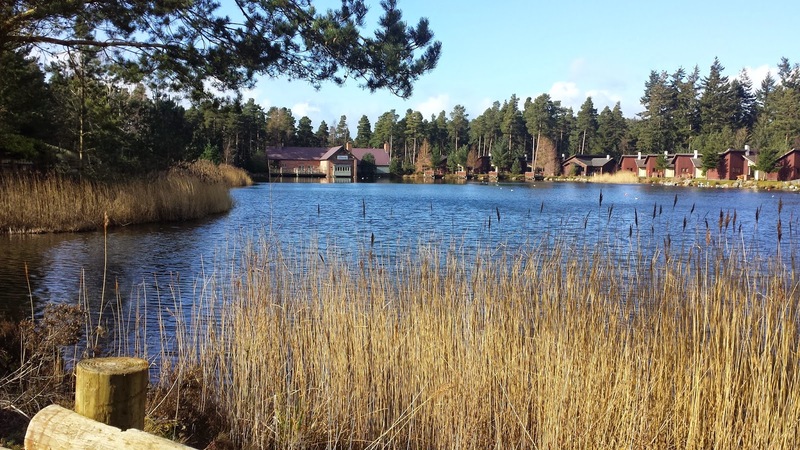 A first visit to Center Parcs Whinfell Forest, an outdoor activity holiday set within the rolling hills of Cumbria. It all sounds pretty exciting! 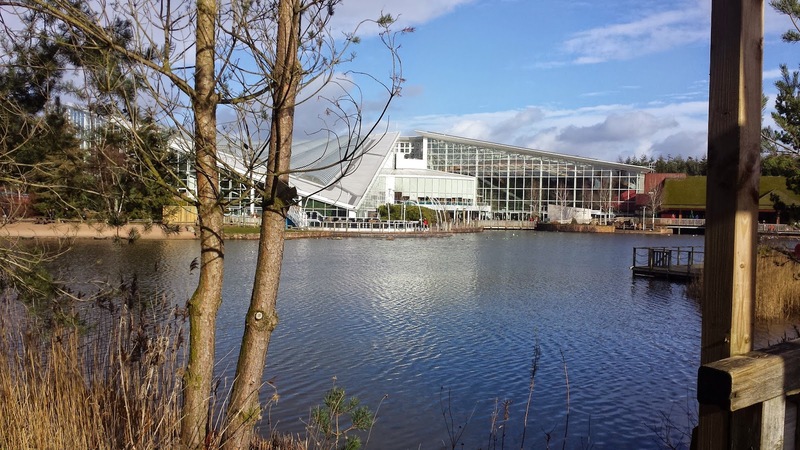 Why We Chose Center Parcs. Cumbria is a place I know very well. Many a childhood school holiday has been spent there due to having family live in a (very) small village in between Carlisle and Penrith. Sadly, I don’t think I really began to appreciate it’s beauty until my more adult years. However, my husband hasn’t visited much and with two children I’m sure I’ll get to play tour guide for many visits to come. We decided to book Center Parcs as our familymoon as it’s somewhere I’ve always wanted to experience. Even going back to its first opening as ‘Oasis’. Once you start talking to people about Center Parcs, it’s amazing how many people you know have actually visited. I have a friend who goes at least twice a year and others who have a specific date they return on each year. So to say I was expecting great things was an understatement. Center Parcs has five villages spread across the UK, with its first village being Sherwood Forest. The villages and their concept brought a new wave and style to the normal ‘family holiday’, which were normally seaside located and brought people back to nature. And that’s what drew me to visiting also, was the outdoor tag line. In a world of ever evolving technology, it’s great to find somewhere to switch off. Booking online was easy and simple. We chose a simple Woodland Lodge, which was located within the central area. We thought this was the best choice, even having to pay a little extra, as we have a slow walking toddler. And we were definitely right to do so. I loved the look of the lodges online and even when we parked outside on arrival, it all seemed a bit surreal. The lodge was very simple, in build, decor and layout, but at the same time catered for all your needs; Roof, door, beds, toilet, kitchen. Apart from the steps up to it, as the rooms were on one level, which with a toddling toddler was perfect. With more than 200 indoor and outdoor activities to choose from, there is plenty available to try. Before arriving, we chose and booked an activity each to do alone. This may be a familymoon, but we also wanted to get the most out of it. Fancying a pamper after my birthday, wedding, Christmas and New Year, I chose an Elemis Detox Facial. My husband chose to try his nerves at the Aerial Adventure. Whilst the other one of us was away doing our solo activity, we booked activities to do with our little boy for some quality time. For this, we chose Messy Play and Zumbini. We also chose one activity to do as a family, which was Encounter Some Baby Owls. The Aqua Sana really is a beautiful space. It’s clean, modern, tranquil and the ladies were nothing but smiley and helpful. The facial was just amazing. Exactly what I’d hoped it would be and exactly what I needed. Though I’ve definitely now caught the Elemis bug! On my way out I ended up making a purchase of a product or two. I didn’t have time to use all the spa facilities, as I wanted to get back to the boys, but I will be making time on my next visit for sure. My partner really enjoyed his Aerial Adventure. It was very much similar to that of Go Ape. His booking time was perfect also as he was the only one there, so he was able to chat to the instructor and also (tried) to race him around the course! He did want to do it again, however, the next day, complained of muscles hurting that he never knew existed. The range of activities for children was brilliant and really well ran. Our little boy really enjoyed Zumbini. It was a mixture of dance, songs and instruments, which is definitely his thing. Messy Play was, well, messy and a new experience for daddy too. The room and children were covered in water, sand, cornflakes, gloop, paint… You get the picture. My husband and our little boy also signed up for a 45-minute Soccer School. It was great seeing them do this together, I know it’s something that my husband has been waiting to do with him for some time, play kick about. He also got a certificate at the end (our boy that is!) which I thought was lovely. Our Encounter Some Baby Owls was held at the Rangers Lodge, which is basically the hub for all things nature. We really enjoyed it and the gentleman that was doing the presentation wad great humor. Our little boy wasn’t so sure about stroking the Owls. However, I ended up with some really comical split shot photos of his facial expressions. It’s advised to make restaurant reservations before you arrive. We decided to make the most of our visit and booked to eat out on at least two occasions. With the chaos of arriving, unpacking, adjusting etc, I thought it would be a sensible idea to eat out. So I booked us in at Huck’s American Bar and Grill. The food was great. Though they didn’t have a brilliant children’s menu. We decided just to order some mac n cheese and shared our chips with him, which he seemed happy enough with. The second evening we had a visit from my auntie and uncle that live nearby, so we booked in at the Lakeside Inn, with is very much a pub. We loved this place. The views are breathtaking, the food was exactly what you’d expect, pub grub and there is a small soft play area for the children. It’s a win-win. We visited here at least three more times over our five day stay. The last restaurant/food place we visited was The Pancake House. You can’t actually book to visit here, it’s a case of turning up and either waiting or taking your chances and coming back another time. I’d heard it was good and my husband, having visited the Sherwood Forest one when he was younger said it was a must and I wasn’t going to argue. I chose a toffee crunch pancake, which was just as yummy as it looked and sounded on the menu. It was definitely our treat of the week! The village centre houses the Subtropical Swimming Paradise, the restaurants, shops, bowling alley and arcade area, and the children’s activity hub. As ridiculous as what it sounds, it being the ‘free’ part of our stay, we only visited the swimming pool once. It is, however, exactly what you’d expect and hope for. I loved that they have an extensive area for children, which includes toys. It definitely helped with easing my little boy’s panic. He’s quite water anxious. For our stay we’d also reserved some bikes to help us get around the village, However, once we’d arrived and had a walk around, we realised that it isn’t actually as big as what it seems. Especially since our lodge was within the central area, so we were quite well placed for accessing everything. We did end up using the bikes, as we had paid for them. Plus our little boy does enjoy being in the seat on the back. But, I think for our next visit we probably won’t bother, maybe not until he’s a bit bigger and can have his own bike and we can go for some proper bike rides. We really enjoyed our first visit to Center Parcs and I can wholeheartedly say that it won’t be our last. The parc/village is very well maintained. There’s always staff and people floating around, cleaning, watering plants, delivering food etc. Plus we saw not one piece of litter anywhere! The idea/need to leave your car in the car park at the entrance is a brilliant one, not just for the conservation of the environment the village is set in and it’s wildlife, but also for us, it’s visitors, walking/biking around in our hundreds. Center Parcs really is, quite literally a breath of fresh air. Helping families and children escape this technological world we live in and bring it back to nature. So glad you had a lovely time! I loved it so much when we went last year, I'd definitely go again! How AMAZING are those pancakes?! We hired bikes and pretty much lived on them, we became complete kids for the week, we rode round and round the complex in circles just because we were enjoying ourselves so much, we lost hours! I love the look of center parcs, and have looked at booking a few times but find the price is just a little too high for me to comfortably go through with it! One day though! Woop. Cumbria is my home turf. So pleased you enjoyed it and will be returning too.